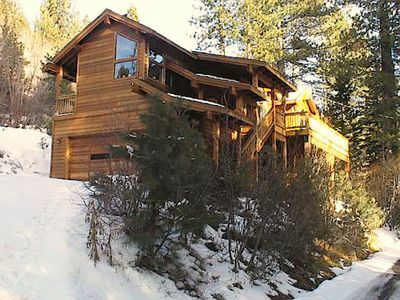 Roast s’mores, dip into the hot tub, and barbecue with perfect view of the lake from this 3,500-square-foot vacation rental chalet, offering 4 bedrooms, 3.5 baths, and room for 10 guests. 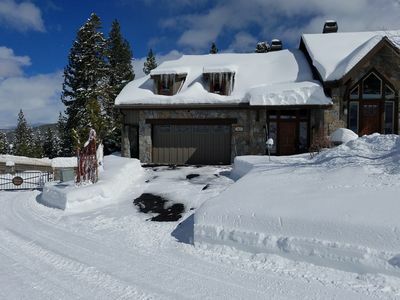 Donner Lake is located right across the street, along with a public pier, fishing dock, and small boat launch, while a private beach available for guests is just over a mile away! 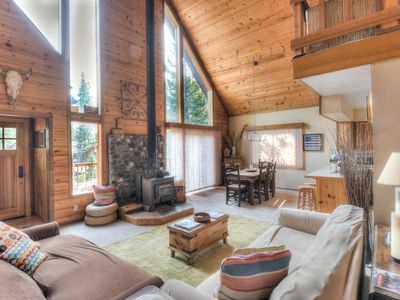 Stay at home to relax under the grand soaring ceilings next to a roaring fire, or head out to the ski slopes just 10 minutes away! 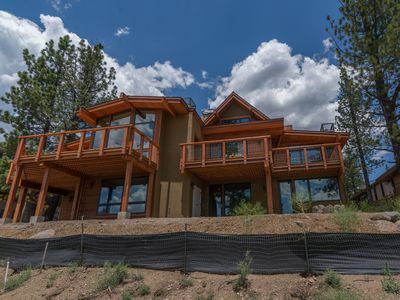 The majesty of this Truckee vacation rental will be apparent as soon as you walk through the large front doors and into the expansive great room. 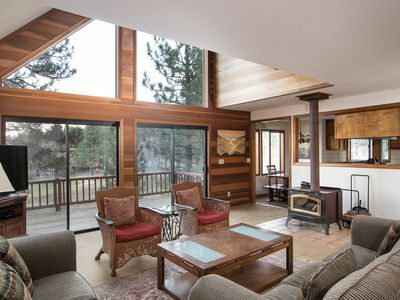 Towering wood ceilings, a wall of lake-view windows, and a magnificent stone fireplace combine for a cozy-yet-spacious environment. 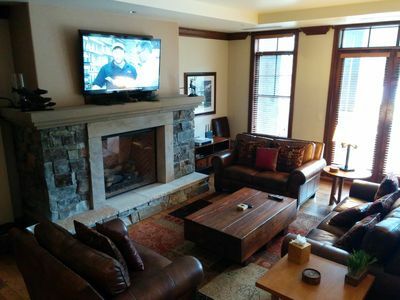 Thanks to the open layout, you and your loved ones can continue discussing the next day’s agenda from room to room. While you warm your toes by the fireplace, let the group’s designated chef get to work on dinner. 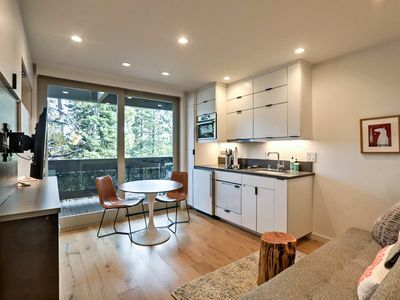 Fully equipped, the home's gourmet kitchen offers stainless steel appliances, granite counters, and a 3-person breakfast bar. 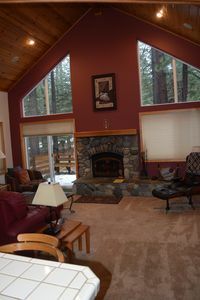 The completely furnished deck and patio areas provide a welcome contrast to the luxurious interior. 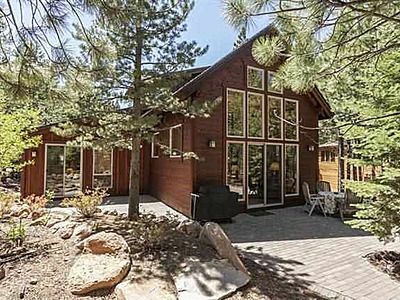 Enjoy flipping steaks on the multiple barbecue grills, browning your marshmallows over the fire pit, or sinking into the large hot tub - all within perfect view of the sparkling lake! 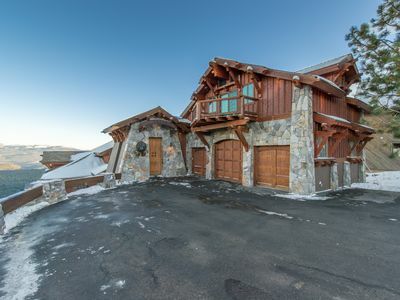 Come nighttime, the master bedroom is sure to be your first choice of sleeping arrangements with its plush king bed, stacked stone fireplace, and luxury en-suite bath with a Jacuzzi tub and walk-in shower. 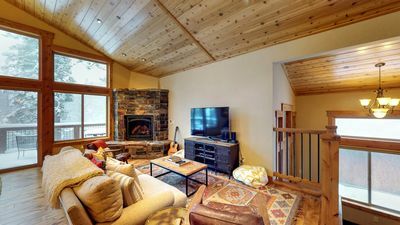 The other 2 bedrooms all offer cozy arrangements as well, and kids will love the bunk room, offering a gas stove. 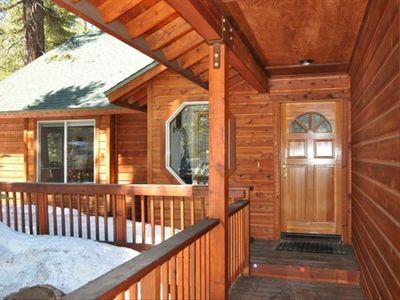 Let the lake adventures start right away! 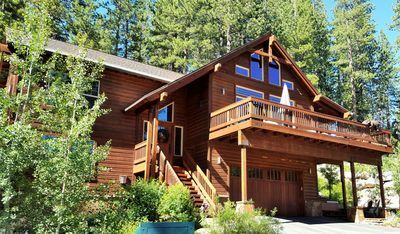 The serene and welcoming Donner Lake is right across the street, so grab your kayaks and paddle boards to begin exploring the water. 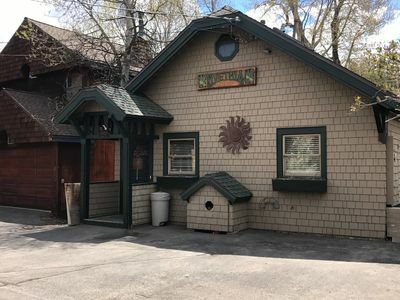 There’s also a fishing dock and small boat launch across the street, while motorboat rentals await just a short drive away at Donner Lake Marina. Grab the 8 provided guest passes and head to the private beach located on the west side of the lake. Feel free to dip your toes in the sand, lounge back with a favorite book, or play some ping pong at the community center. 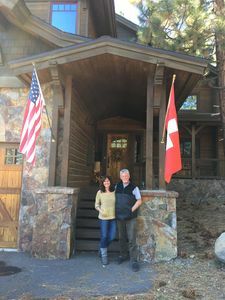 Downtown Truckee is just 10 minutes away, where you’ll find unique shops, a historic walking tour, cultural arts district, and amazing restaurants. 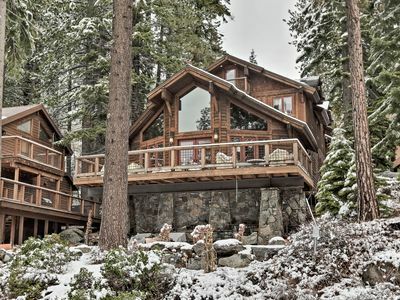 When the snow begins to fall, this California destination is perfect for all skiers and snowboarders. 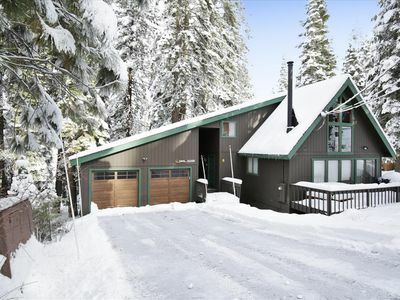 Sugar Bowl is located just 10 minutes away, while Squaw Valley and Northstar are within 20 minutes! 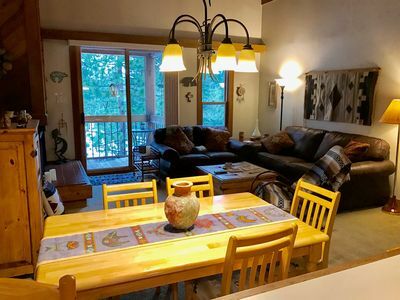 - Amenities include a fully equipped kitchen, free WiFi, 4 flat-screen TVs, DVD player, central heating, 3 gas fireplaces, large furnished deck, gas grill, charcoal grill, gas fire pit, private hot tub, 1-person kayak, 2-person kayak, 4 paddle boards, 5 bikes (2 adult & 3 children), 1-car garage, 2-car driveway, and more! 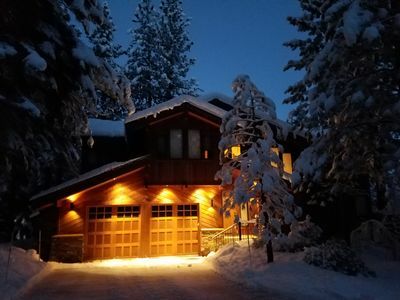 - Amazing Donner Lake location - Right across the street from a public pier, fishing dock, and small boat launch, 1.5 miles to private beach access, 10 minutes to downtown Truckee, 10 minutes to Sugar Bowl, and 20 minutes to Squaw Valley & Northstar! 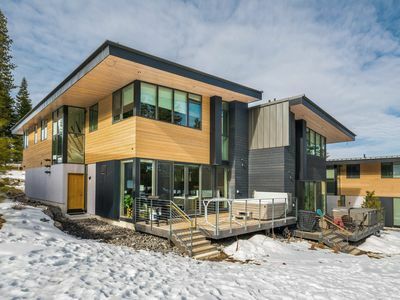 Modern Home w/Chef's Kitchen - 3,000+ sq ft. 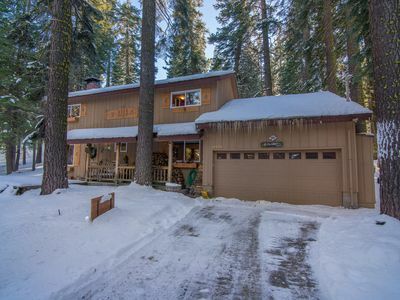 Wonderful Tahoe Donner Home with Hot Tub!